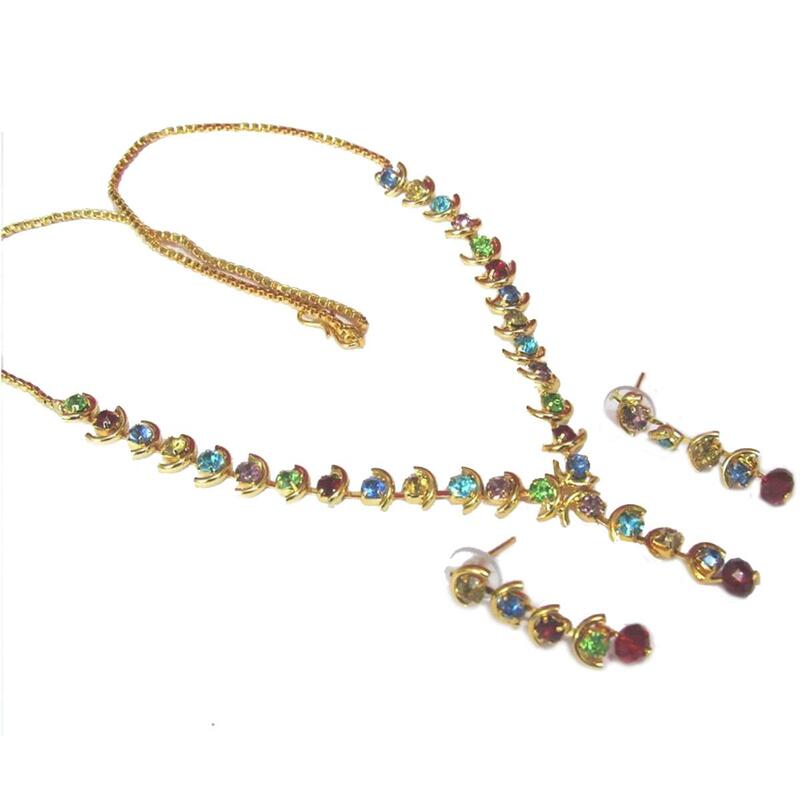 Complete the look of your ethnic ensemble with this golden rainbow stone necklace set. Perfect to pair with traditional & modern outfits. Material Used : Stone.